Ah! It’s been almost 6 weeks since I’ve written a blog post (this flashback post on travel workouts doesn’t really count! ), and while I could make excuses, the real reason is … life! Over the past 6 weeks, I’ve moved houses, had some exciting business opportunities, celebrated my birthday, my husband’s birthday, and spent time with family, finished training for and competed in a Half Ironman, and so much more! Blogging had to take a temporary backseat, but now I’m back in action with today’s post on healthy snacks. Ironic timing, because in two weeks, I have a post on Intermittent Fasting coming up . If you have ideas for future blog post topics, please let me know! Balance. I am constantly striving for a balance between macronutrients (protein, fat, and carbohydrates). I prefer not to have any snacks (aside from plain veggies) that are pure carbohydrates, so as to limit blood sugar spikes, and I’m looking to hit daily macronutrient targets that are about equivalent (I certainly don’t believe that everyone needs to track their macros, but by learning about macronutrients a bit more, most people can feel much healthier and get the results they want! If you want to discuss your macronutrient targets, let’s chat!). Moderation. Honestly, by preference alone, I’d probably rather never have a meal and just have a small snack every hour or so. But that wouldn’t be optimal for my digestion, blood sugar stability, or lifestyle! As with anything, even if snacking does work for you, stick to moderation. We don’t need to be snacking all day. Knowing yourself. Are you super active? Is your metabolism raging from strength training, workouts, or genetics? Do you tend to get hypoglycemic? How big are your meals, and what are they made of? How old are you? All of these things impact your body’s need for snacks. I have many clients who tell me right from the beginning that they prefer 2-3 large meals, and they’ve always been that way, and others who have always felt better with a few snacks sprinkled in. Knowing yourself, your lifestyle, and what makes you feel best will always be better than following the latest diet trend. All that said, if you want to incorporate some snacks into your day, I recommend choosing snacks that will keep your blood sugar stable, offer nutrients, satiate you, and not make you tired or end up craving even more snacks afterwards. Of course, the healthiest snacks would be whole-foods-based (think: chicken breast in lettuce wraps with sliced avocado, a small portion of soup, etc. ), but I know you’re looking for on-the-go snacks, so that’s what I’ve listed here. I look for snacks with clean ingredients (see my label reading webinar here), 2 or less grams of added sugar (ideally none! ), less than 10 grams of total sugar, even naturally occurring, and a good hit of either protein or healthy fat. I get a lot of these things from Thrive Market, which seeks out only healthy products, cuts out the middleman, and offers them to you for 25-50% discount (for an additional 25% off your first order, use this link! ), but I’m providing the Amazon links below in case you’re not a Thrive member yet. Here are 20 of my favorite healthy snacks! Veggie packs. Yes, I said portable, but veggie packs still count! I use Stasher bags, make them all on Sundays, and I’m ready to go for the week! I personally have a veggie pack before any other snacks, to ensure I get my fiber, nutrients, and a boost of energy from veggies. Dip in hummus, guacamole, salsa, mustard, drizzle with olive oil and sea salt, or eat alone! Fruit and Barney butter. I’m not worried about the sugar content from a few pieces of whole fruit daily, for most people. Enjoy with some no-sugar-added nut butter for extra satiety and to keep your blood sugar stable! Enlightened bean snacks or dry roasted edamame. These roasted beans are salty and crunchy enough to stave off your cravings, and they’re full of protein and fiber, too! Mario olives. Olives are rich in healthy monounsaturated fat, and have tons of heart-health and overall health benefits. Plus, they’re tasty and portable – this small packet is usually enough to take the edge off of hunger for a while! Healthy jerky. A few of my favorites are Chomps turkey sticks, Epic chicken sriracha bars, Tanka bison bites, and Wild Zora fruit- and veggie-infused jerky. Always look for low sugar, no junky ingredients, and preferably no hormones or antibiotics! Energy-boosting drink. No, I’m not about to recommend downing a Red Bull, don’t worry! But sometimes, having a beverage with a bit of a healthy nutrient boot can help pick up your energy levels just as much as a dose of caffeine (and whatever other chemicals they put in those crazy energy drinks!). A few of my favorites are Kevita probiotic drink (I like the Mojita Lime Mint Coconut), Daily Greens zero-sugar Green Ade, Organifi, and Four Sigmatic Mushroom Coffee. Brad’s Veggie Chips. They sure are expensive (Whole Foods often runs sales for $4.99 / bag and I stock up), but when I feel like I want to plow through a bag of chips (hey, it happens to all of us! ), I choose these. They’re packed with tons of veggies, and taste good, but not too good, if you know what I mean! Safe Catch tuna. There aren’t too many snacks out there with just one ingredient, 24g protein, and a super portable, shelf stable container. I choose Safe Catch because of its low mercury content and high quality. Hard boiled eggs. I’ll be honest, I’m not a fan of the texture of hard-boiled egg yolks (although they are the most nutritious part!). But for clients who love hard-boiled eggs and can make them in advance, this is one of the best, few-bite, filling and nourishing options there is! Healthy protein bars. There are tons of “bars” on the market, and most of them aren’t ideal for a mid-day snack. They’re generally either jam-packed with artificial ingredients (I’m looking at you, Pure Protein! ), sugar (I only eat Larabars before a workout, despite their clean ingredient list! ), or devoid of actual protein. When I do choose bars, I like No Cow or Garden of Life Protein bars. Healthy nut, seed, or bean mix. I like Trader Joe’s Bean & Seed Medley or Naked Medley trail mix. Individual packs of nuts. I like these almonds or these pistachios. Bone broth. Bone broth is one of the most nourishing foods I can think of. Rich in collagen and minerals, high in protein, and soothing and comforting as well! I keep these individual cartons in my office, and love to make my own at home as well! Dang unsweetened coconut chips. Just enough sweetness and crunch to feel like a treat, but rich in healthy fats to keep me satisfied! Healthy pre-made protein shake. 99% of the time, I prefer to make my own protein smoothies (for more on how I make green smoothies, see my webinar here!). But when clients need something on the run, I’ll recommend Evolve, Owyn, or Cocolibre depending on their food sensitivities and preferences. Vega Protein & Greens. For an even simpler “smoothie,” I like Vega Protein & Greens packet just mixed with water. If you’re super sensitive to taste or texture, this may not be for you, but I think it tastes great, and you sure can’t beat the convenience! Seasnax. Seaweed as a snack? May sound odd, but these Seasnax have salt, a teeny bit of crunch, and some unique flavor that I love. They take a while to eat, and pack a hit of nutrition, so if you like sushi or seaweed salad, give these a try! Bare fruit and veggie chips. These carrot chips literally only have carrots and salt in the package, and I love the intense crunch from this snack! I also like the apple snacks – beware of going overboard here, as they’re high in (natural) sugars, which is why I generally stick to the carrots! Siete chips. OK, OK, I don’t think chips (even Siete chips) are truly healthy options for snacks, but sometimes I just want a chip, and when I do, I turn to these. They’re made from cassava, almond, and chia seeds, and taste amazing alone, or dipped in guacamole, salsa, or hummus! Now it’s your turn … What are your favorite healthy snacks? Which of the above do you most want to try? 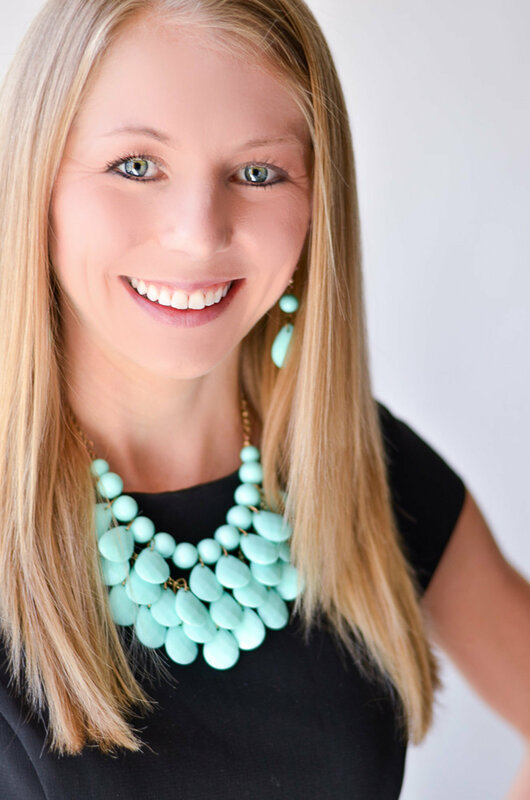 ← This Week’s 10/10: Julie Gannon, Financial Coach!